Dave B. submitted this photo and caption. 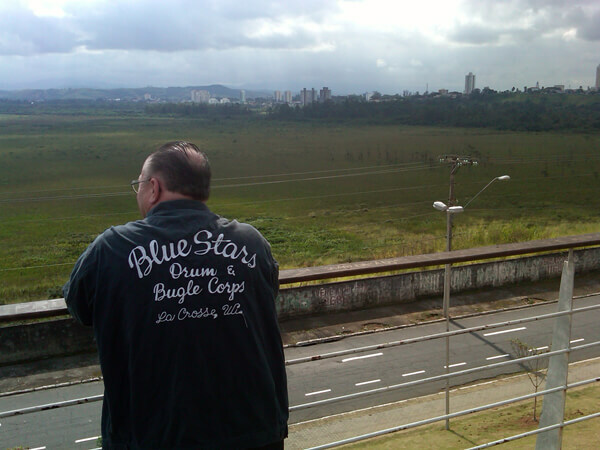 This is a picture of me, a volunteer for the Blue Stars, viewing the scenery in Sao Jose dos Campos, Brazil, wearing my Blue Stars jacket. I had been with the corps at Spring Training in Indianapolis when I had to make a business trip to Brazil. Obviously, with it being "winter" in Brazil, I just had to wear my corps jacket everywhere I went!